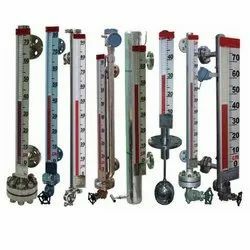 Providing you the best range of oil level gauge lbt, hydroline level gauge, level gauges instruments, water level indicators, klinger gauge glasses and multi level gauge with effective & timely delivery. We have established ourselves as leading name of Oil Level Gauge LBT in the market at present. Contact of in-housed switches changes with movement of floats in correspond to rising/falling of liquid Level, thus giving potential free contact outputs. The sensors are custom made in top mounting versions in SS / PP construction. Top mounted models are available in single or multi-level sensing types in various lengths. These are made available to our customers at industry leading rates. Our organization is famous in providing Hydroline Level Gauge 3 to our clients. 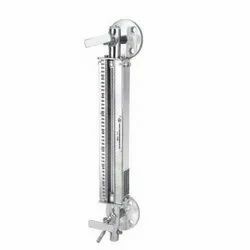 Owing to the technologically advance manufacturing facilities we have been able to offer an exclusive range of Level Gauges Instruments that are widely used in pressure vessels, tanks and boilers. Riding on unfathomable volumes of industrial expertise, we are offering an excellent range of manufacturing the entire range. Moreover, our offered product can be availed in a wide range of sizes and shapes, as per the requirements of our esteemed clients. Our valuable clients can get these indicators from us at market leading prices. 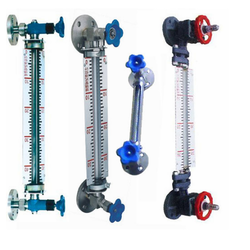 The gauge glass is the most important component of the liquid level gauge. Due to this reason KLINGER gauge glasses are made of high quality, extra-hard borosilicate glass which is subsequently heat-treated. KLINGER gauge glasses have high mechanical strength and are especially resistant to alkalis, acids and boiler water (within the service limitation). Our glass testing laboratory carries out continuous quality control tests: purity of glass, flaws in glass, dimensional accuracy, etc. this ensures the high quality standard of KLINGER gauge glasses. We supply reflex and transparent glasses according to the most varied international standards.KLINGER gauge glasses are suitable for installation in liquid level gauges of almost any make. 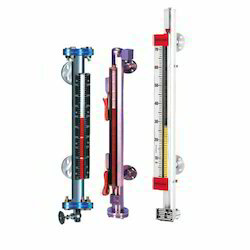 We are counted amongst renowned manufacturers & exporters of Multi Level Gauge. These are designed by our team of experts using latest technology in accordance with the market requirement. Our Tubular Level Indicators are used in various industries due to their vast features & technical specifications. Our products are highly appreciated by our esteemed clients due to their quality material. We bring forth an advanced assortment of Water Level Gauge Glass Protector to our deemed clients. 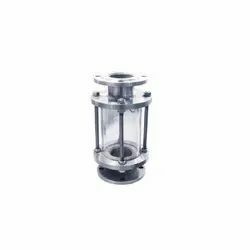 Offered sight glass is used in measurement of oil in various industries and sectors. Moreover, this range is designed as per ongoing trends of the market in compliance with the industry laid standards and norms. In addition to this, patrons can avail diverse customization options from us along with diverse sizes, grades and dimensions as per the patrons needs and demands. 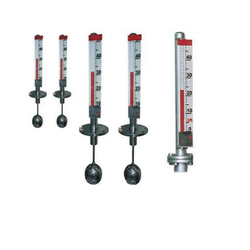 Valve - Tech Industries Cast Carbon Steel Water Level Gauge, Flanged ends to BS 10 table "J" with automatic shut off device in water Arm, Suitable for maximum boiler operating pressure 24.7 kg/cm2 and 400° C tepm. Supplied with IBR form IIIC duly signed by director of boilers Punjab. 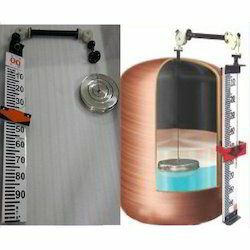 Transparent Level Gauge is designed for measurement of liquid level in tanks under high pressure and temperature conditions. It consists of double flat glass mounted opposite to each other on a chamber.The glasses are held together by studs through cover plates. It is used for interface services or when the process is dirty or viscous. The chamber is available in a variety of metallurgy i.e. PP, CS, MS, SS304, SS316, SS 316L etc. 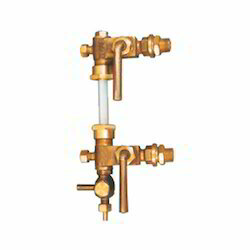 The isolation valves can also be supplied in different metallurgy depending upon process fluid. Choice of medium and high pressure designs is available in various body & gaskets materials to suit process conditions. Trouble – free operation, but requires occasional cleaning. Large chamber construction available for boiling, foaming, flashing or surging liquids. Weld – Pad construction is also available for liquids containing suspended solids, or for location where piping is not acceptable or space is limited. Internal Mica/ Plastic Shields for glass protection from services like caustic, hydrofluoric acid & steam drums above 250 psig. Accessories & special features like isolating valves, safety ball check, scale, illuminator, frost free, heating/ cooling arrangements are available. 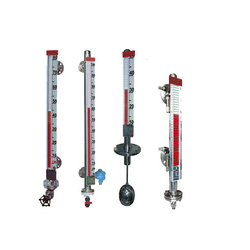 We are Manufacture, Exporter and Supplier of Float and Board Level Gauge. It is also called as Tank Level Gauge, Which is used to measure the level inside the Storage Tanks and Vessels. 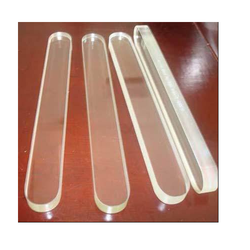 We are among the prominent Reflex Flat Glass Level Gauge Manufacturers and Suppliers. 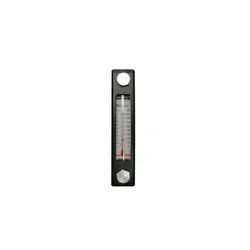 The Reflex Flat Glass Level Gauge provided by us is made of best quality raw components that help in enhancing its performance levels. It is designed for safe and positive visual indication of liquid level in vessels under high pressure temperature conditions. The Reflex Flat Glass Level Gauge is a flat glass gauge, which has precision molded prismatic grooves cut on its inner side, which comes in contact with the medium. Light striking the glass covered by liquid is refracted (absorbed) into the liquid making this portion appear black, whereas light covering the vapor space is reflected back towards the viewer, making it appear silvery-white. Thus, a sharp clear line marks the liquid level. 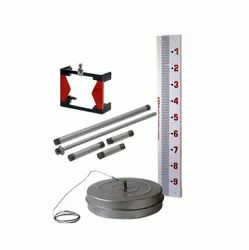 Weld Pad Level Gauge offered comprises professional liquid level gauge and come supported by reflex glass and low/normal/high level indication support. 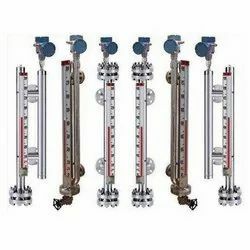 Further, these level gauges are of weld-pad type and provide for reliable usage by allowing direct reading of liquid level operation. Toughened plate glass gaskets cover plate offering perfect sealing support. Being a client-centric organisation, we are engaged in offering a distinct collection of rents for featuring variegated attributes like easy installation and durability. 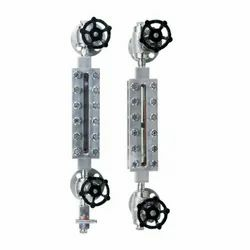 The appeal of magnetic level indicator technology is the total isolation of the process within a sealed piping column. Elimination of leaking seals, clouded glasses, broken glass tubing, plus easy access cleaning and adaptation to a variety of mounting styles and process connections. Magnetic level indicators eliminate leaking seals, clouded glasses and broken glass tubing while providing easy access cleaning and adaptation to a variety of mounting styles and process conditions. 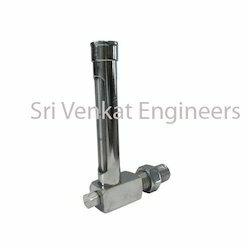 We are pioneers in making Tubular Level Indicators in side mounted type. With the help of this instrument one can read directly the liquid level reading. It is very easy to use with simple operations. 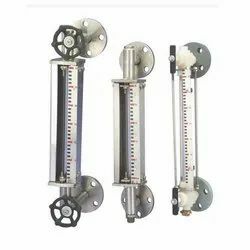 These Tubular Level Indicators are useful in for measuring liquid level in various process tanks ,chemical tanks ,storage tanks etc. 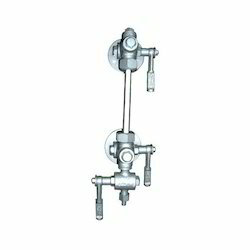 The Gauge is fitted between two end blocks through gland packings, The gauge is mounted parallel to tank so as to form a close loop causing tank liquid to seek its level in gauge. 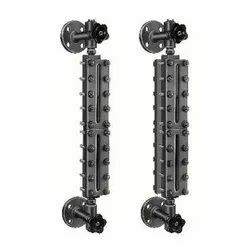 Guards are provided in the form of tie-rods / c - channels around the gauge to protect it from accidental blows. End blocks have built-in-isolating valve, drain valve and vent plug. The fluid level can be easily seen on the outside of the tank. The fluid enters the unit via the lower connection bore and is clearly visible in the tube. By selecting the right size, the particular fluid level can be monitored. We are instrumental in offering a wide range of Sight Glass to our deemed clients. 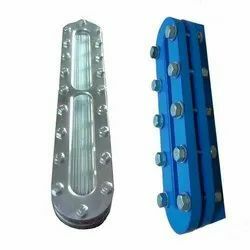 Offered range of products is manufactured by making use of transparent tube, which helps to observe liquid contained inside the tank or non-transparent pipelines. Manufactured using high grade raw material, these products can be availed from us in various sizes, capacities and other dimensions as per the patrons needs and requirements. boiler operating pressure 10. 54 kg/cm2 and 225° c temp supplied with ibr form iiic duly signed by director of boilers. We are the leading and prominent Manufacturer and Supplier of Full View Flow Glass Screwed Type. Screwed type Sight Flow Indicator is same as Full View Flow Glass in construction except that is has a Dip Tube, so that vertical flows and colourless flows can be detected due to the projecting Dip Tube. 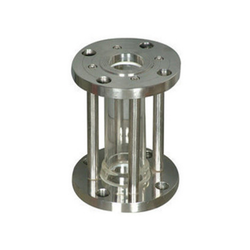 Flanged to ASA 150/300, BS10 or DIN Std. Looking for Level Gauges ?